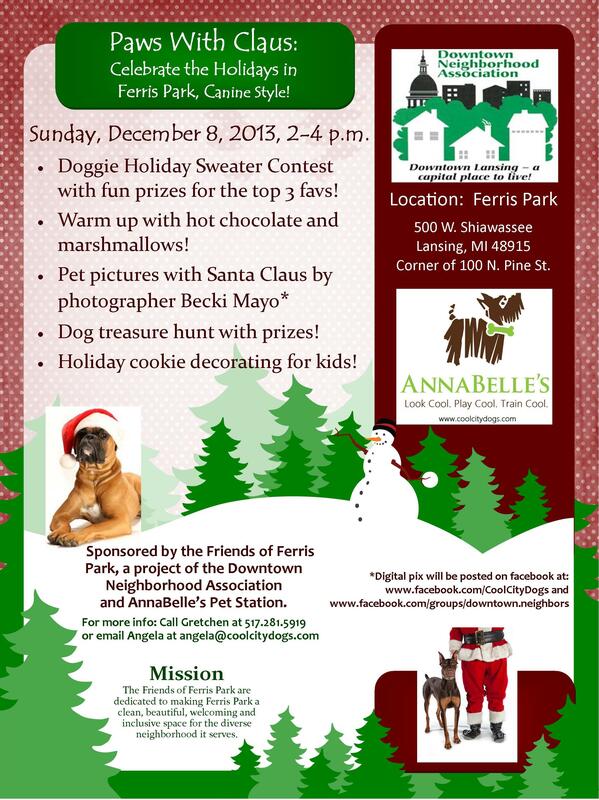 You can register and join the Team AnnaBelle’s Pack! 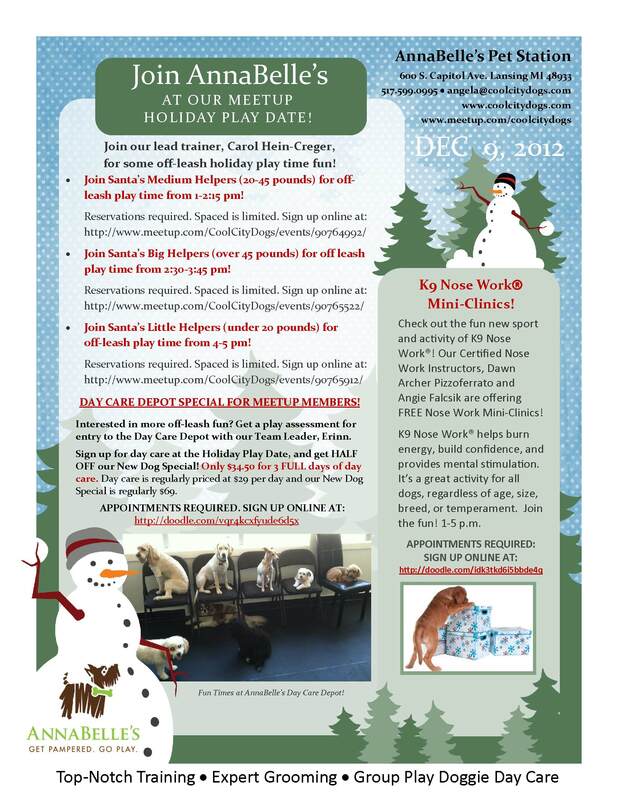 HELP CAHS RAISE $90,000 FOR THE ANIMALS! 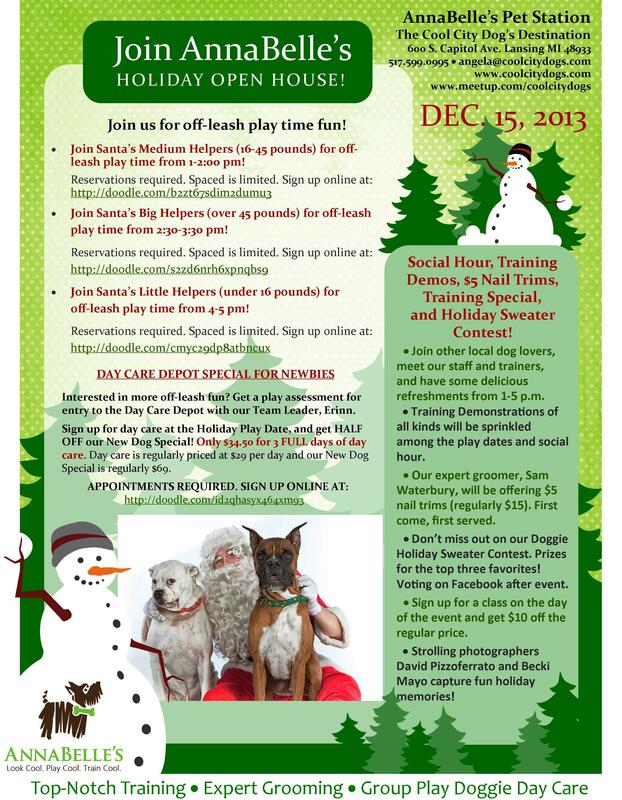 The Capital Area Humane Society challenges you to raise funds and awareness for the homeless animals in need in mid-Michigan. Whether you wish to walk, run or simply register to be a fundraiser, your efforts will help provide food, shelter and care for up to 290 animals every single day! We serve more than 10,000 needy animals each year and we can’t do it without the support of the community! There is no actual fee for registration. 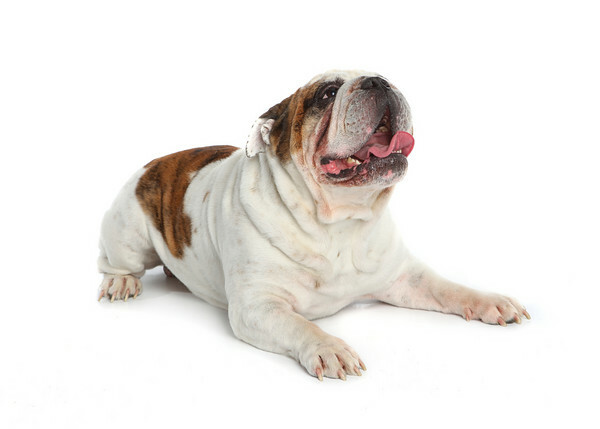 Each participant in the Walk for the Animals can donate money on their own, ask friends and family for support or even come up with creative fundraisers to help raise support for the animals. Any money is great and there is no minimum required for participation. 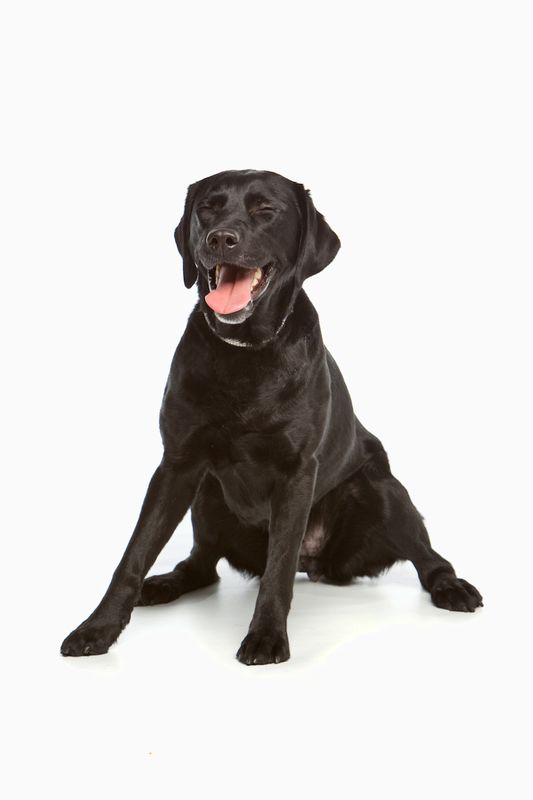 In order to receive incentives, such as the Walk for the Animals t-shirt, doggy bandanas and other fun rewards for your great work, you must be registered and you must attain certain dollar levels attributed to each incentive. Please visit the Incentive Item tab for more information on specific incentives. 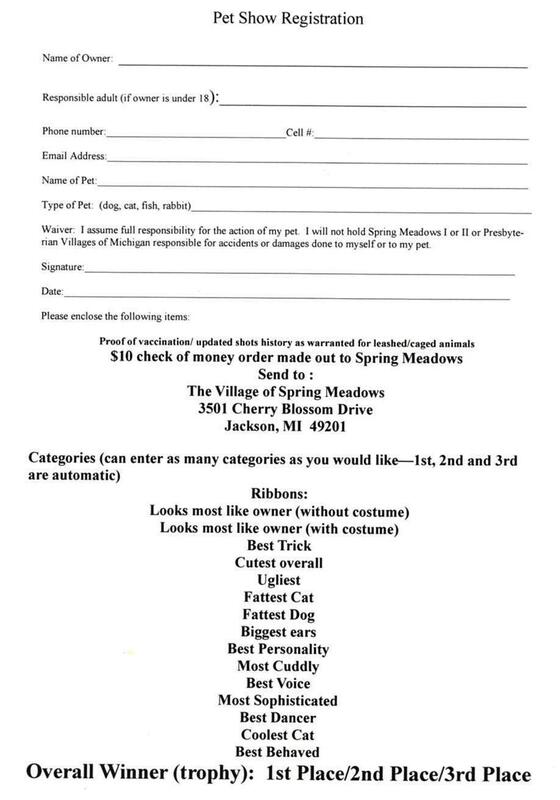 If you know already that you would like to participate, please CLICK HERE. For more info. 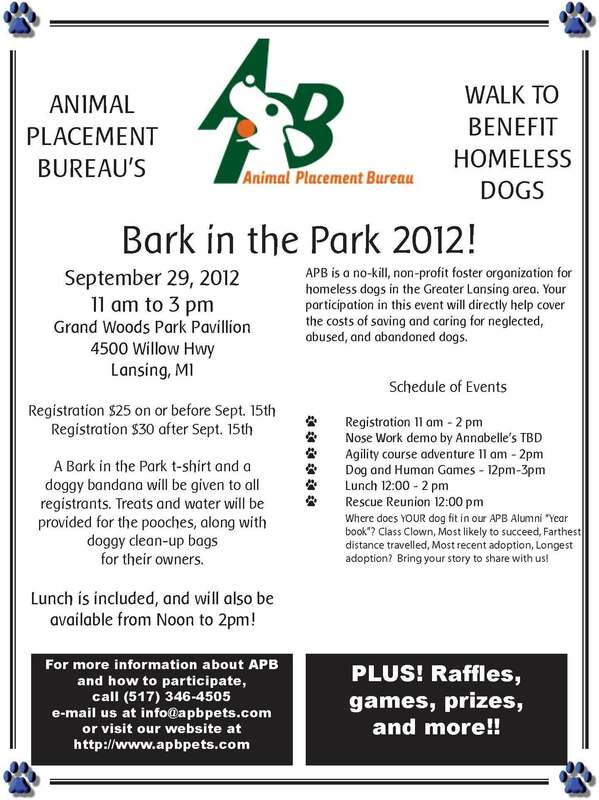 Bark in the Park With Animal Placement Bureau! 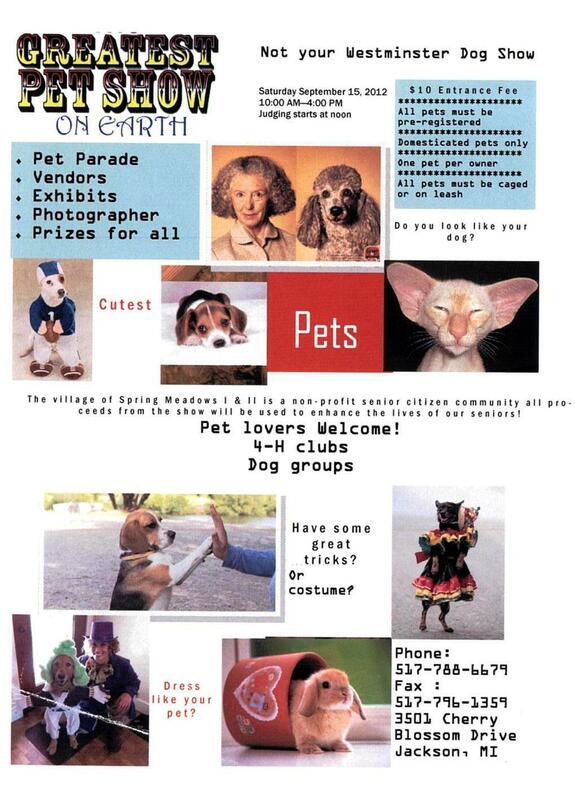 Don’t Miss the Greatest Pet Show on Earth! 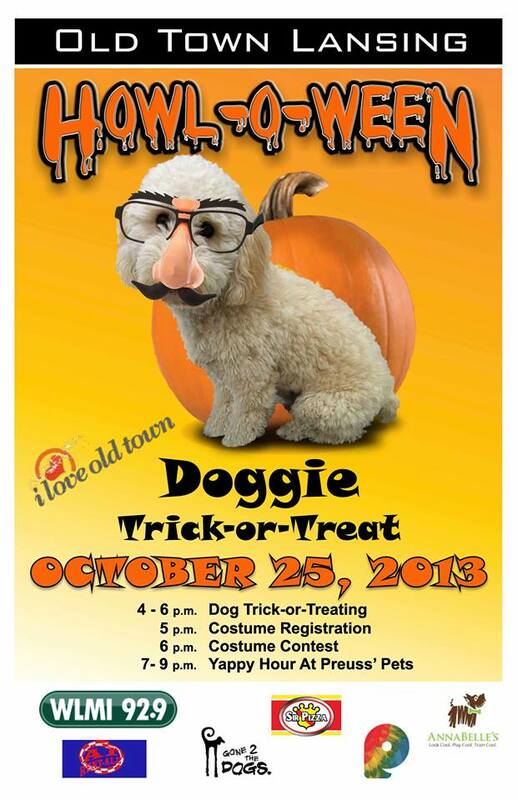 Saturday 9/15, 10am-4pm. Register today! 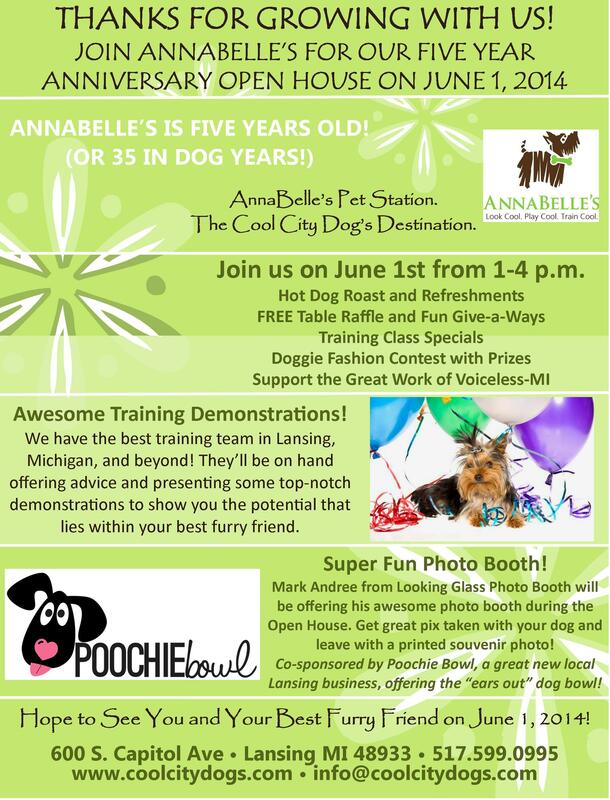 AnnaBelle’s and Slobbery Kisses Present: Canine Couture & Cupcakes! 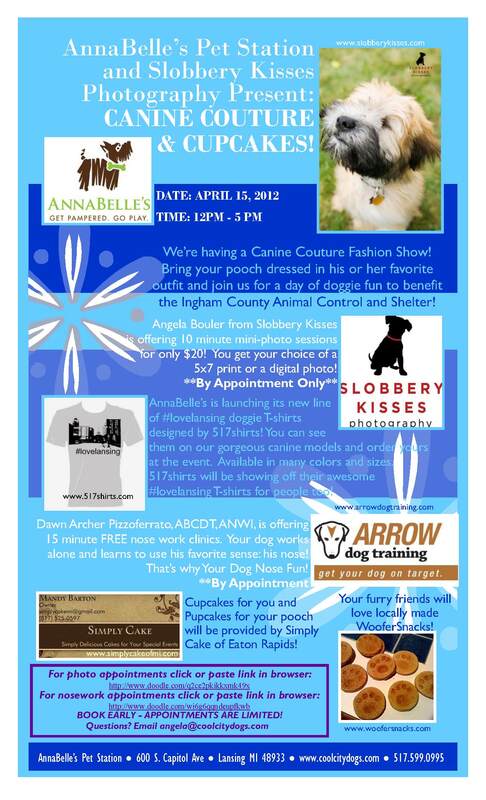 Join us on April 15, 2012 for a day of doggie fun!